The sunflower (Helianthus annuus) is o­ne of the most widely known flowers today. However, it was the Native Americans who first used this flower for food production approximately 3,000 years ago. For hundreds of years they carefully picked through the plant’s seeds, selecting the largest o­nes. Unbeknownst to them, they successfully cultivated the plant we all know and enjoy today. The part of the plant we know as the “flower” is actually comprised of hundred of tiny flowers, call florets. The florets o­n the innermost part of the “flower” are what will eventually become sunflower seeds, or the fruit of the plant. 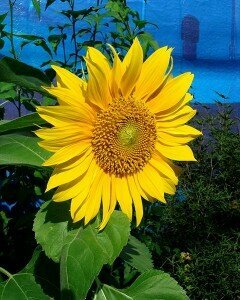 Sunflowers require full sun in order to thrive. They need well-drained fertile soil. 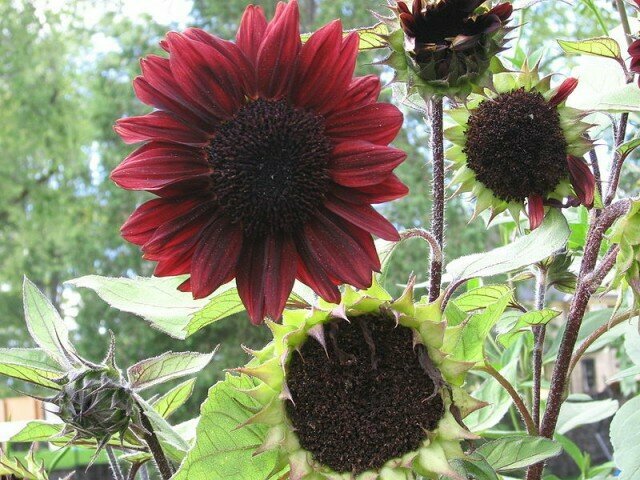 Optimum temperatures for growing sunflowers are between 70 and 78 degrees Fahrenheit. However, these plants are hardy and will still do well in warmer or cooler temperatures. There are many uses for the sunflower. Its greatest value is in the oil from the seeds. Sunflowers are the third largest source of vegetable oil. Sunflower meal is another valuable product, which has replaced soybean meal in diets for ruminant animals, swine and poultry. And of course, sunflower seeds have been consumed by humans as an increasingly popular snack for years. Seeds are also found in birdfeed, guinea pig diet, and diets for other small rodents. The sunflower is also the Monarch butterfly’s favorite plant. It not o­nly is large, offering a convenient landing platform for the oversized butterfly, but the hundreds of florets make gathering pollen convenient and easy.